family frolics: pannier leave-behinds... round 7? If you have read a few of our posts, you know that we get a kick out of lightening our panniers. We are developing an odd pride at pruning our belongings, forcing items to prove their worth. Not that our panniers are overly weighted, but perhaps we are overly protective of the real estate inside our panniers. We like to be able to pack easily---and quickly. So we continue to leave things behind. In Utrecht, we left behind a pair of bike shorts that really didn't fit either boy very well. (Bummer because they were nice shorts! 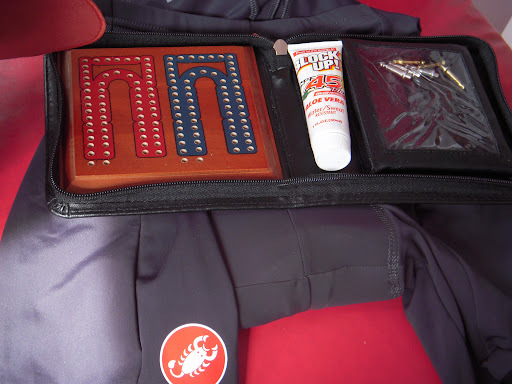 ), sun block that didn't live up to its name, and a cribbage board. Loved the board, but you can 'peg' without all the fancy colors and dots... the board really isn't necessary. In Gouda I left behind my eye cover---you know those cheesy things you put over your eyes to ensure pitch black... and a better chance at sleeping. Well, I have had NO trouble sleeping. With all the input and cycling and novelty and tracking and photographing it isn't hard to fall into bed exhausted and ready to recharge. And I left behind a black belt. It is nothing special, one I had actually bought James like 8 years ago. But it didn't fit him so I used it instead. So I left behind a man's black belt that became my token black belt that I wore for 8 years. 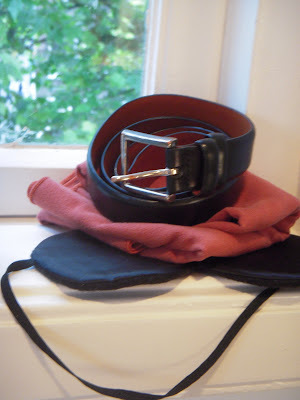 But I haven't worn it once this summer (with my jeans)---and James reminded me Florence would no doubt have a black belt. And I left behind an orange camping towel. This one is a little funny; we bought these tiny towels from REI to use when we didn't otherwise have towels. And we have found that we are allergic to some of the detergents used on towels here, so the little orange ones were a great go-to item. EXCEPT that when I used it, the color somehow stayed on my skin and when I wore white shirts, it turned them pink (from the inside out). Yeah... it took me awhile to figure out why I had pink on the inside of everything white that I owned... the towel had to go. to click or not to click.